Unai Emery admits the opportunity to close the gap on Tottenham to just one point will add extra motivation to Saturday's north London derby. Arsenal have won three consecutive matches in the league, while Spurs have suffered back-to-back defeats against Burnley and Chelsea. 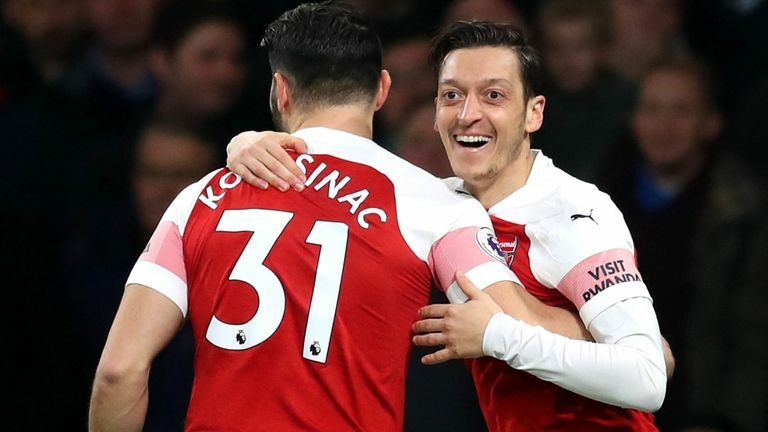 That leaves Emery's side with a realistic chance of ending the season above Tottenham in the table and he has urged his team to play with confidence at Wembley. "We have been speaking about the opportunity [to finish above Tottenham]," said Emery. "Each match is giving us the opportunity to win three points. There was a 10-point difference between Tottenham and us two weeks ago and now it is four points. "For both sides it is very important because there is a big difference between if you have won or lost. "The big opportunity for us is to play with confidence in our moment. They have lost two matches but are having a very big season. "We must play with confidence but free our minds and do things with a focus on our game-plan." 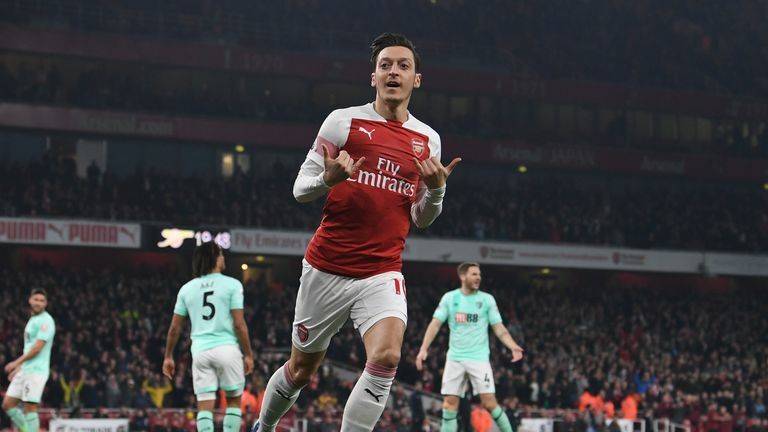 Mesut Ozil scored the opening goal in Arsenal's 5-1 demolition of Bournemouth in midweek, but Emery refused to be drawn on whether he would keep his place in the side for the derby clash. "We are doing a plan for a lot of matches and each match is different," Emery added. "Home and away, it depends on the position and how we are in each moment. "The most important thing for me is if the player can be OK for tomorrow and has the desire to play. "I think Mesut has this if we decided to play him tomorrow. He has had injuries, including to his back, and has been sick. "I have spoken with him and told [him] that when he can be consistent and is training, and has confidence to play matches, it is better for us."